The Indian State of Chhattisgarh is drawing up its plans to extend universal health coverage (UHC) to its people. Discussions among public health experts, practitioners, and lawmakers, therefore, turn to planning the road ahead for this state and how it can deliver on its promise. With the state at a crucial moment in its health reform, a delegation reached out to the Thai Ministry of Public Health and associated research institutes requesting to learn about the Thai experience of implementing a UHC Scheme to provide some additional context to their own discussions. The delegation, led by the Health Minister, TS Singh Deo, visited Thailand in the week that the Prince Mahidol Award Conference (PMAC) was being held in Bangkok. 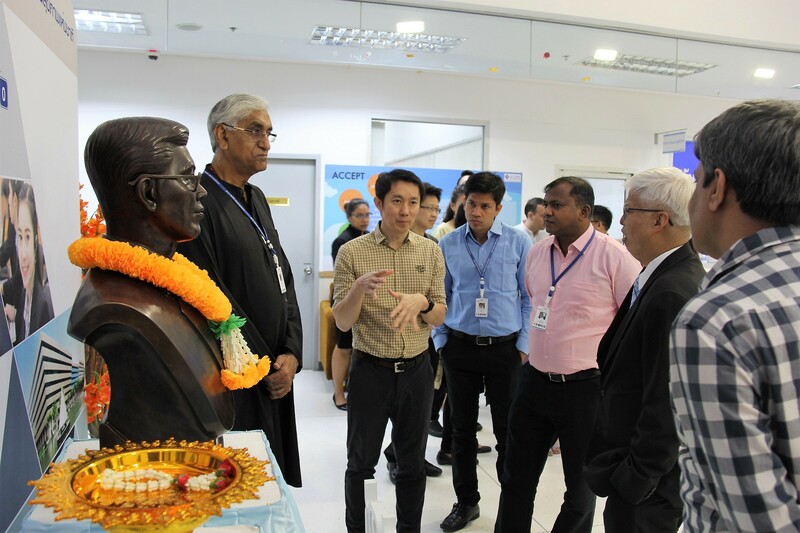 On 29-30 January, 2019, the group met with senior Thai experts and visited two organizations, the National Health Security Office (NHSO), Thailand’s UHC manager, and the Health Intervention and Technology Assessment Program (HITAP), a semi-autonomous research institute in the Ministry of Public Health, to understand the Thai context, challenges and lessons learned in designing and implementing a UHC scheme. Establishing a UHC scheme raises a myriad of questions to tackle and were deliberated on at length during the visit. Discussions spanned a wide range of issues including defining packages, enrolling patients, ensuring quality care, the role of primary care, managing financial allocation and disbursement, and the information requirements of managing a successful UC scheme. An early question while rolling out a UHC program is ‘what should be covered?’. In Thailand, this is decided through the use of health technology assessment (HTA). Economic evaluations of interventions assess their value for money which are then reviewed against other concerns such as social and ethical considerations, including equity, to decide what treatments will be covered by the scheme. HITAP is a significant player conducting HTAs for the UHC scheme in Thailand and representatives described how these processes enhance the fairness, transparency, and sustainability of a UHC scheme. A key aim of any UHC scheme is to then ensure that care is provided for free at the point of delivery, without out-of-pocket payments particularly for the poor. Achieving this requires that all eligible people are successfully enrolled, and that patients are made aware of their rights. Thailand tackled this challenge through data sharing between Ministry of Public Health and Ministry of Interior to identify the eligible population and publicizing a hotline where patients can check their scheme and the coverage it provides. This hotline also acts as a key grievance redressal mechanism as patients use it to report malpractice if they are asked to pay for treatment. This call-center is located within the NHSO itself, and the Chhattisgarh team were able to see the center in action. With patients enrolled and aware, health improvements require that quality health-care be made available in all areas. Thai experts described the operation of an accreditation system which requires hospitals to meet quality standards to be registered as a UHC provider. Financial and other incentives were also used to bring qualified medical professionals to work in rural areas and draw healthcare providers to set-up facilities in these areas. This led to discussions on the role of primary care in UHC and the link between primary, secondary, and tertiary care. Chhattisgarh is keen to evaluate the role that primary health centers play in health-care delivery, an issue which Thailand’s reforms gave particular emphasis to. This focus is couched within the broader movements in India to establish health and wellness centers as primary care providers and strengthening the role they play. One significant difference in the structure of healthcare provision between the two countries is that the NHSO is the scheme manager and also the body which reviews claims and disburses payments to the health-care providers. In India, on the other hand, these functions are performed by separate bodies. The benefits and challenges of NHSO playing this dual role were therefore a point of discussion, which raised further topics of strategic planning, strategic purchasing and monitoring, and evaluation requirements, and how these issues may play out in the Chhattisgarh context. NHSO’s management of an effective UHC scheme rests upon data from an extensive Health Management Information Systems (HMIS). Accurate and reliable data is required to plan budgets effectively, track fund disbursement, monitor care that is provided, and assess and process claims. It was expressed how information systems allow a scheme to run most effectively, efficiently, and reduce any scope for fraud or malpractice, thus being relevant for many governments aiming to achieve UHC. The discussions continued, covering issues of utilizing community health workers, advantages and disadvantages of different methods of fund allocation to hospitals, and the relationship between public and private health-care providers under a UHC scheme. Thai experts also shared their experiences of addressing fraud or mal-practice through rigorous monitoring and evaluation, and grievance redressal systems. The meetings and discussions aimed to provide useful context for the Chhattisgarh delegation to consider when developing their own new blueprint to bolster a primary and preventive healthcare system, and ensure access to free healthcare for the poor. However, the time available was brief and the lively discussions raised as many questions as it answered. It is therefore hoped that continuous discussion and knowledge exchange may occur between the team from the Chhattisgarh state and Thailand’s UHC institutes for all to learn from the experiences of each other’s contexts.